All the CD’s have great content and great sound quality. Please note all these CD’s have great content, but the sound quality is appropriate to the year they were produced. 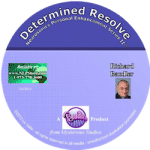 Slow down, and understand the process of thinking differently, using parts of your brain you may have never used before. 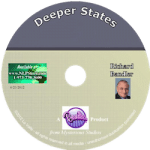 Become a sharper person in your every day life when you slow down into a deep state of learning. Really slowing down. Trying things a little differently. When you think differently, you learn differently, take a deep breath and be ready for something new. 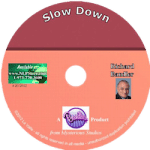 Slow Down so that you can speed up the successes and enjoy life more! 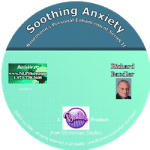 With this CD you will hear Richard’s question of why is it that most people find it easier to remember things they should forget and forget the things they should remember. 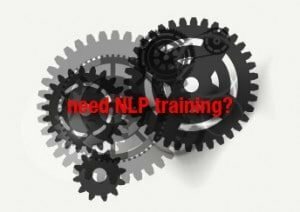 And then he will answer it in a way that your conscious mind will understand and your unconscious will learn in a whole new way. 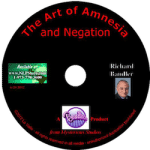 Dr Bandler will take you on an entertaining and amusing journey into the subjects of amnesia, the healing phenomenon and the subtle art of negation.